The waste described in the description above is the onsite FTP server. An IT professional’s time is valuable and needs to be allocated to the right tasks to help ensure efficient work conditions. FTP servers are one headache that can easily be outsourced to improve production and reduce the bottom line. You do not have to buy extra storage, replace old hardware, update software, and all the other nickel and dime maintenance that servers can require. Not to mention the extra time you have to pay your IT professional to maintain and troubleshoot the problems from day to day. A small monthly subscription can save thousands of dollars overtime compared to the hardware, software, and labor costs. Offsite FTP services usually come with more features than your basic onsite FTP server. Custom software can provide a useful and easy web interface that extends FTPs traditional capabilities. 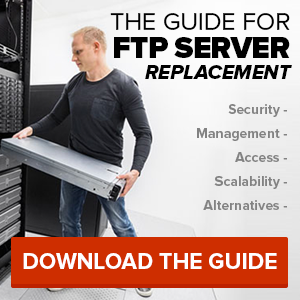 These extra features can enable businesses to expand on what onsite FTP can do. Your IT professional in the office has one less machine and process to babysit. There is no maintenance that needs to be done, besides the occasional online administration through a user friendly UI. 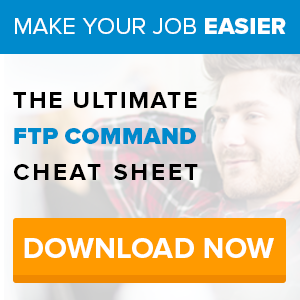 Remote FTP services can be set up and functional in a matter of seconds, where as traditional FTP can be a long process of hardware assembly and software configuration. Time is not only saved up front but also over time when new users are added and managed through a time saving web interface. No more worrying about hardware, software, or relying on an IT department to configure users and sites. All the setup and initial administration work is done by the offsite FTP company. You just have to login and start moving files. If something goes wrong of if questions arise, that also falls on the hired outsourced FTP company to help. Of course, some companies do prefer that sense of ownership in having an onsite FTP server. There are certainly benefits to onsite, but it is tough to argue against the benefits of offsite FTP and hiring a specialized company for pennies on the dollar. Make sure you read more about SmartFile and our FTP capabilities. We can help your company save time, money, and headaches in a few clicks. Try us free for 14 days and you’ll see the benefits first hand!